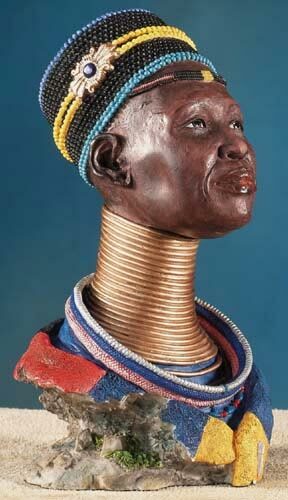 Ndebele Woman: In South Africa, the Ndebele have been recognized as a distinct culture for several hundred years. The traditional brass rings collect around the women’s neck create an elongated profile that these people find desirable. In the past, the number of rings was to indicate the woman’s wealth and status. Size (Approximately 7 ½” Tall). Perfect for gifts and collectables.